Ivacy VPN always seems to run some crazy promotions to stay competitive. With low prices, one would expect features to be lacking, but that’s certainly not the case here. 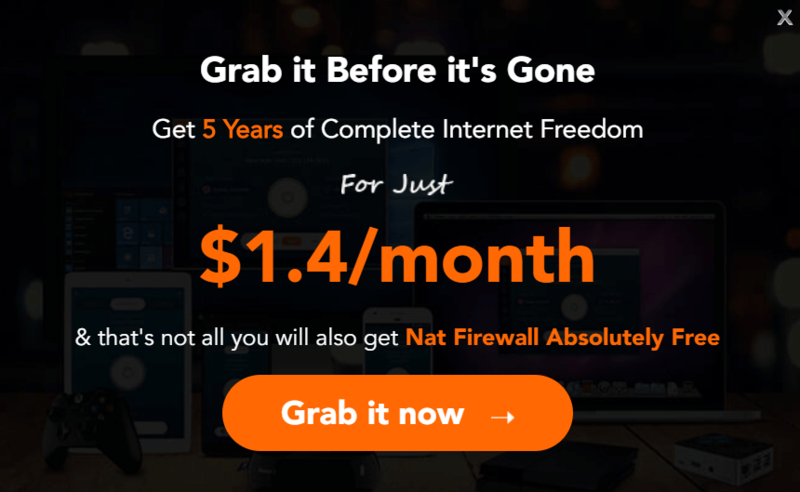 There are a lot of good things coming out of this VPN provider, just take a look below. 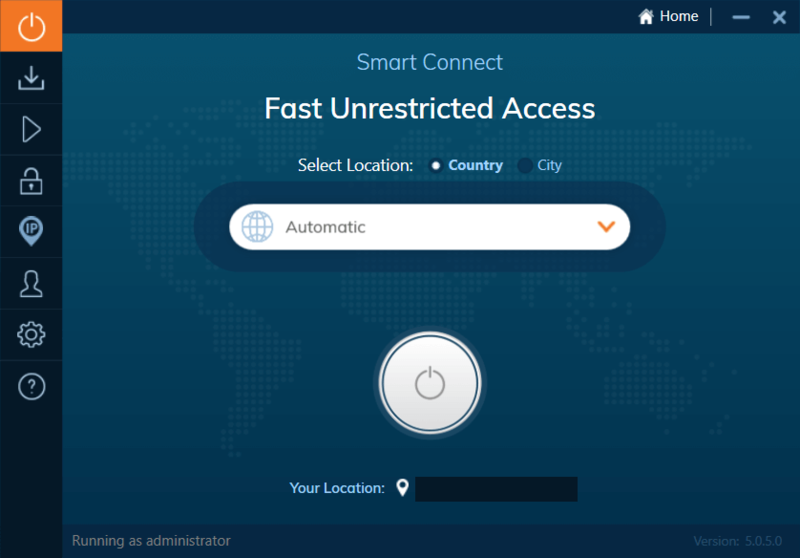 In this review, we look at one of the cheapest VPNs on the market: Ivacy VPN. Usually, cheap VPNs equate to poor VPN services; they say that Ivacy is an exemption. 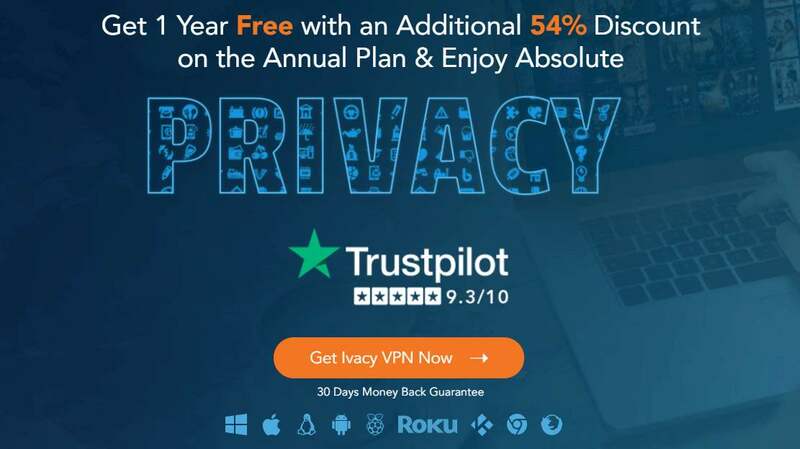 Let’s see if the industry’s top reviewers are right about Ivacy VPN. Ivacy claims to have pioneered split tunneling – this is a feature that allows you to route some of your traffic directly to the Internet while routing the rest of the traffic securely through a VPN. This feature helps you manage your connection by giving you options. It’s always good to have options. Options for all your Windows, macOS, Android and iOS devices, that is. Today, gamers seek this sort of feature so that they can keep their low ping for better game performance while keeping a VPN on. While we can’t verify how Ivacy pioneered this feature, one thing is for sure: it’s an awesome feature to have. Ivacy hosts a little over 1,000 servers and they claim that they continue to grow. Ivacy seems to stick to their word since the server count was sitting at 450 at the end of 2018. Comparing it to other budget VPN services, 1,000 is blowing the competitors out of the water. What we particularly like about their servers is how they’ve spread apart throughout the globe. In 100+ locations, no less. 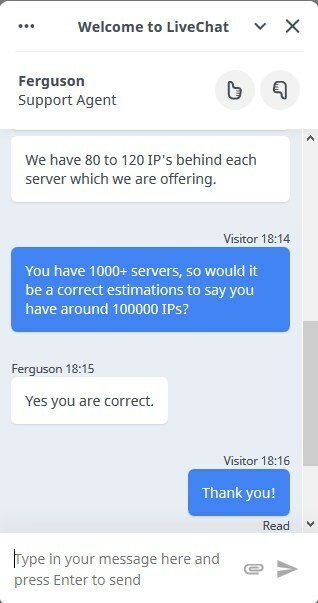 This is very different from other services that concentrate servers in NA and the EU. Just based on their server offering, it seems like Ivacy knows what it’s doing. Want to see something crazy? 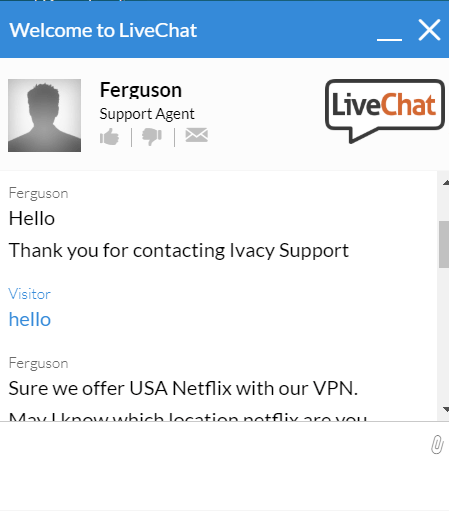 Ferguson, the live chat support agent for Ivacy confirmed that Ivacy has over 100,000 IPs. Bigger numbers mean better, right? RIGHT? In reality, not all countries allow for use of VPN. Take Russia or China for example. This is where obfuscated servers come into play. Obfuscated servers mask your VPN as normal traffic so your ISP would not know that you are connected to one. 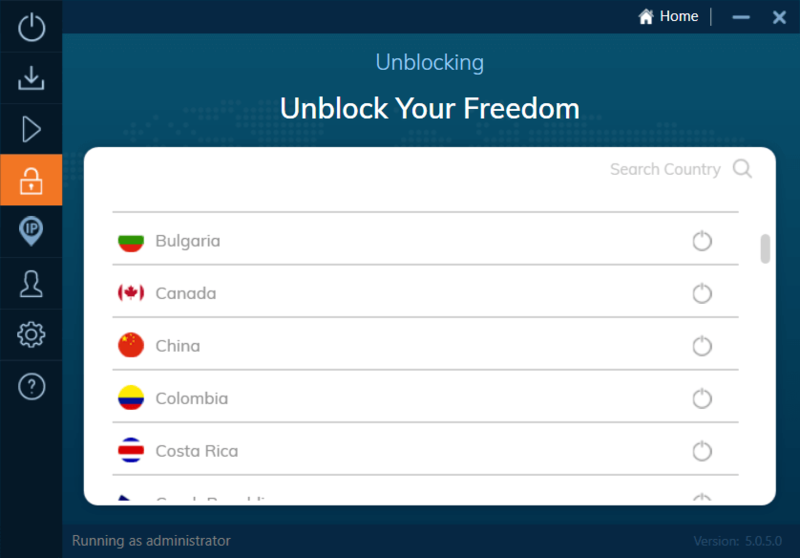 This is very useful in censorship-heavy countries where only government accredited VPNs are allowed. Using those VPNs is like going to an open buffet. The government will freely watch your activities, thereby defeating the purpose of a VPN. Comparing it to top-tier VPNs, Ivacy would be slightly behind. But comparing it to budget VPNs? It’s ahead of the competition by miles. We got decent speeds using Ivacy VPN, more than decent enough for large file transfers and streaming high definition content. In fact, the speeds are also usable even with multiple users connected simultaneously. Whenever we review cheap VPNs, we generally don’t expect Netflix to be accessible. Netflix is quite fast with blocking VPN IP addresses. VPNs that can’t generate new IP addresses easily fall victim to these blocks. 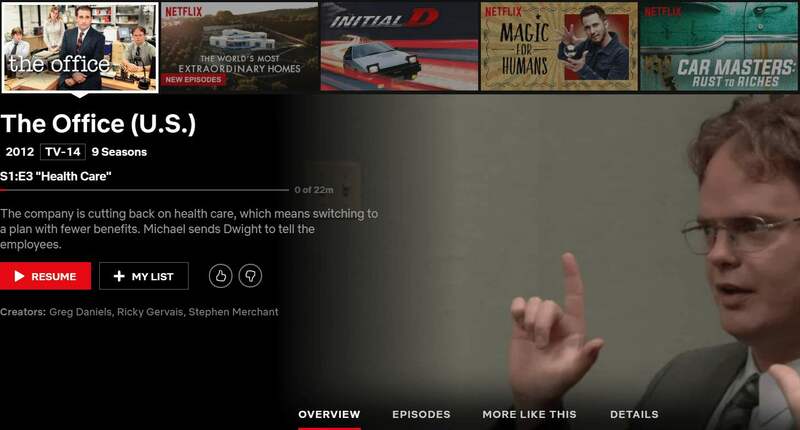 It was a pleasant surprise that Netflix worked with Ivacy VPN on their US servers. Netflix also worked on the mobile apps which is great on the go! Some VPN providers usually stray away from being torrent-friendly due to the bad rap. So it’s quite surprising to see this kind of policy; they’re really open about being torrent-friendly. More than that, Ivacy acknowledges that Torrents are home to malware and viruses. 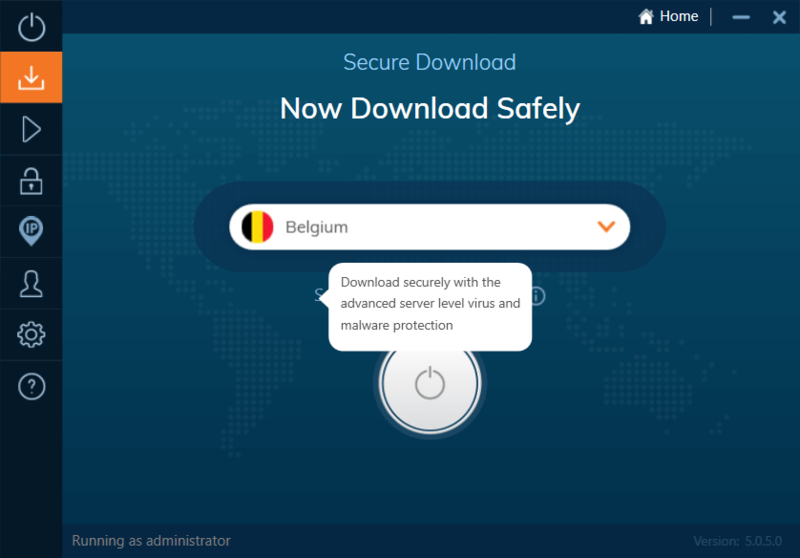 Ivacy included a Secure Download feature which filters out viruses and malware right from their servers. This appears to be a neat feature since we could all appreciate the extra level of protection, although we couldn’t verify whether it actually worked. Ivacy puts a lot of focus on having servers that can bypass geo-restrictions. It seems their customer base seems to overlap with this specific feature. 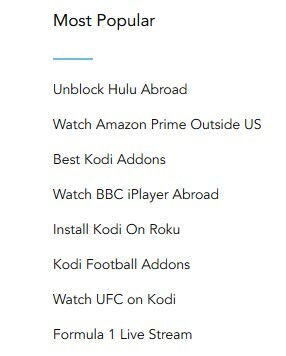 If accessibility to Netflix, Hulu, Amazon, Kodi, BBC iPlayer is important to you, then this is something to keep in mind. They have a little something for fans of football, UFC and Formula 1 as well! Pricing & Plans: Super cheap! Their basic 1-year plan offers an extra year for free at a single billing of $48.95. That places the rates of Ivacy at just $2 a month, that’s incredibly cheap for a VPN! If you can commit for 5 years with Ivacy, the price goes even lower. We have discovered Ivacy’s private 5-year plan that just goes for as little as $1.40 a month. If you want the best deal, they come around the holidays (although there’s no guarantee). They’ve reduced the offer even more to a mere $1.34 (plus a free 1-year subscription to Sticky Password) at the end of 2018. That’s easily one of the cheapest VPNs available on the market. In case you don’t want to share, you can also opt-in for the dedicated IP option which costs about $2 extra per month. Without privacy in mind… just based on price, servers, and Netflix availability, this is an amazing deal. It just keeps getting better, aside from the cheap price, Ivacy offers numerous many ways to pay. They accept Bitcoin and other cryptocurrencies apart from the regular card and PayPal options. They have Alipay, which is very rare to see in VPN providers. Alipay makes it more convenient for Chinese customers to get a VPN subscription. 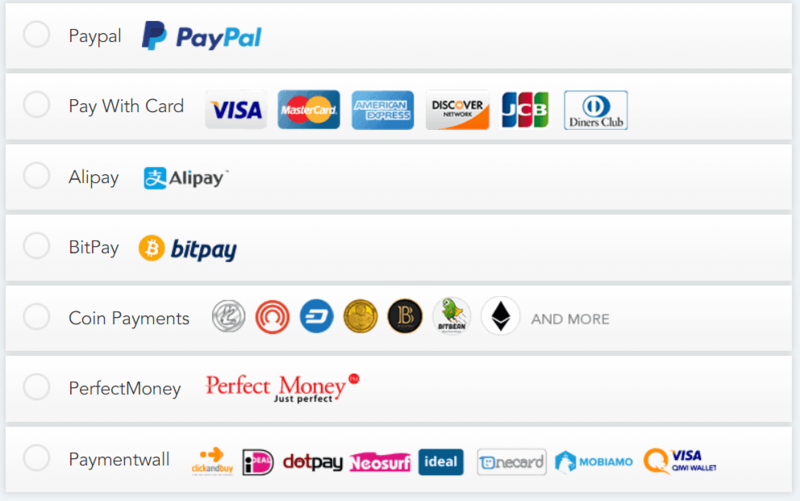 PerfectMoney and Paymentwall are also available, which opens up more than 150 more options for users around the world. The only things they’re missing are gift cards and cash! A normal 1-month subscription is backed by a 7-day money back guarantee. Since committing to a 5-year plan is a hard decision to make, Ivacy offers an extended trial period. You can try out their service for 30 days and they can refund you your money anytime. We rarely see trials this long (if given, at all) from budget VPNs, and we’re impressed that Ivacy can offer it. Just remember there is also a bandwidth cap of 500MB and a 30 session limit as well. If you’re scared of the details, check out their Refund Policy page. For starters, Ivacy covers the basic grounds; Windows, Mac OS, Android, and iOS. They also include browser extensions for Chrome and Firefox which makes use of your VPN more seamless. 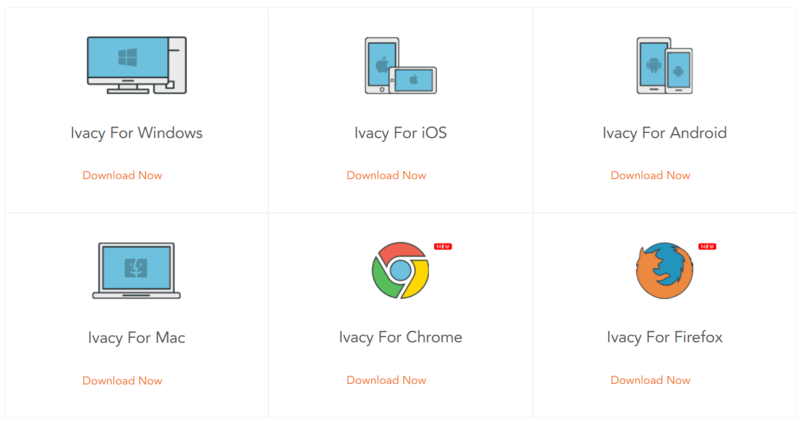 But more than that, Ivacy offers a lot of support options for different devices. 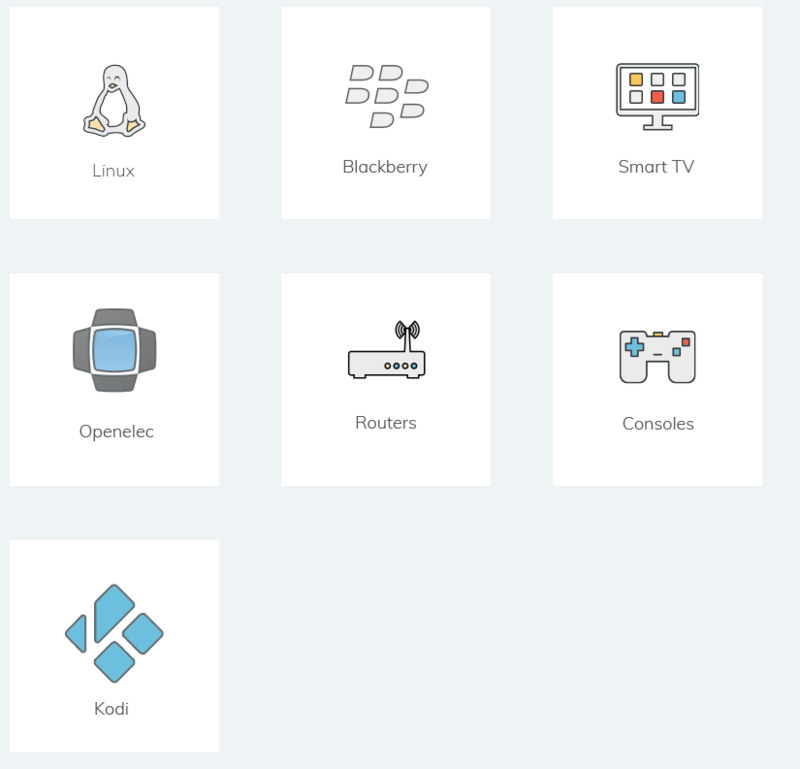 Ivacy has support for Linux, smart TVs, gaming consoles, and even for Kodi. 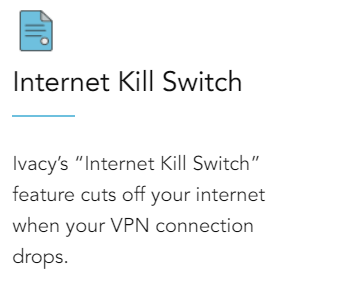 This is also quite surprising for a really cheap VPN. In the event that your device is not on the list, Ivacy supports router configuration. There is even support for routers. 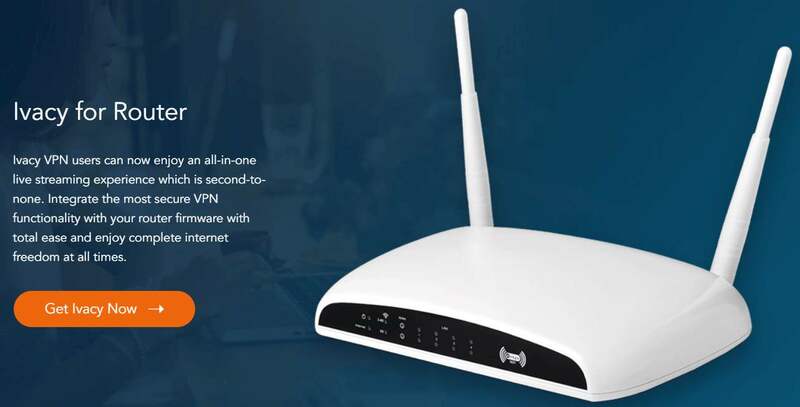 VPN routers allow for more simultaneous connections on a single account and also allows for more types of devices to connect to a VPN. For instance, if your device doesn’t have a native app and is a huge hassle to configure, a VPN router is the way to go. Without a router setup, you are limited to 5 simultaneous logins. This means you can use Ivacy VPN on 5 different devices at the same time. Signing up for Ivacy is as simple as it gets. You select your plan, select your payment option and that’s it. 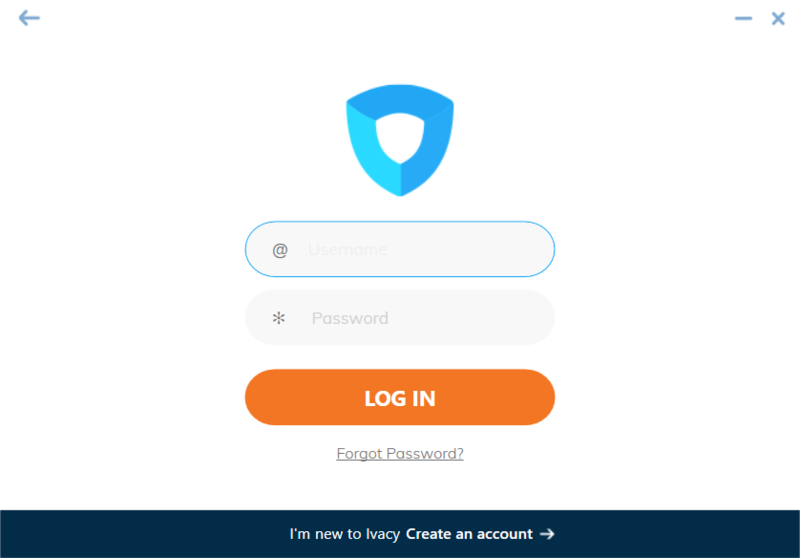 Ivacy will lead you into creating an account with a secure password. After that, you would be all set to use Ivacy VPN. Once that’s done, you can input your login credentials inside the app. The app itself is well-polished and easy to use. The entire app is top-notch. There are tabs on the side for various options and the main menu shows your connection details. If you’re a casual user who doesn’t want to bother with the details, there’s also a button for “one-click connect”. There are tabs for connecting to streaming servers, torrenting or Secure Download, and for obfuscated servers. Once you have connected to a VPN server, you can see your status and connection time. You could also give feedback to Ivacy on whether the VPN worked for you or not. Customer Support: Live chat, hallelujah! Ivacy is filled with surprises. Providing live chat at this price point is something we honestly did not expect. Even the VPNs with the highest price points sometimes don’t offer live chat. The customer support agent was able to answer our questions in less than a minute. With super helpful answers, no less. We admire Ivacy for putting some resources into customer service. In case you want to troubleshoot things on your own, you can easily get answers from the Ivacy help center. The search feature functions well, and the guides and instructions available were well-written and very easy to follow. What separates a usable VPN from a great VPN is their log management. Ivacy keeps no logs at all from your online activities. 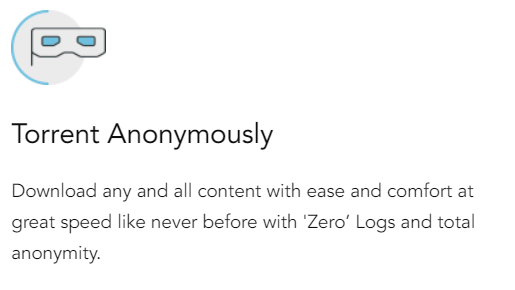 A no-log policy is a must-have for those with privacy and anonymity in mind. In any case that a retrieval of data would be requested, Ivacy would not be able to divulge any information since they don’t have any. If your VPN leaks your IP address and DNS, say goodbye to anonymity. Ivacy values your privacy and secures your connection to prevent leaking of any kind. Our tests show that there are no leaks when connected to Ivacy. They also provide IPv6 leak protection as well! 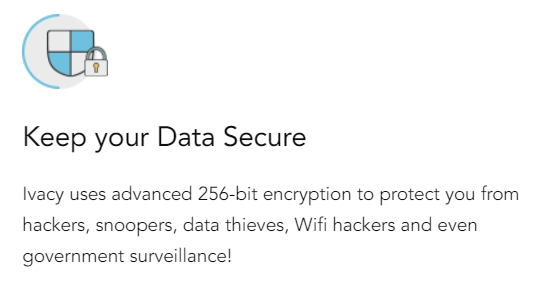 When it comes to VPN security, nothing beats 256-Bit AES encryption. At least, in how the industry is accepting different encryptions, that is. This level of security wards off potential hackers and intruders since it’s nearly impossible to brute force. This level of encryption is being used by the largest banks and government agencies – making this the industry standard. Ivacy has a kill switch feature which allows for an added layer of security. Ivacy disconnects your internet connection when it detects a potential leak or when the VPN server loses connection for any reason. 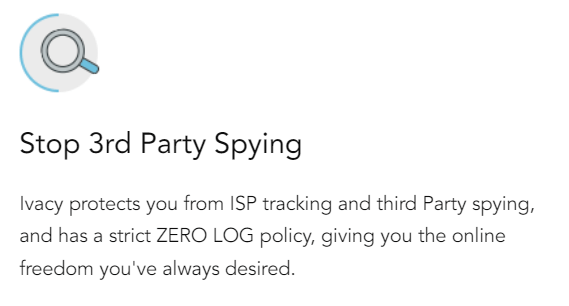 Even some premium VPNs don’t offer this feature. Needless to say, it’s a welcome addition to Ivacy. If you are extra serious with protecting your identity then TOR is a must. Unfortunately, Ivacy does not support the use of TOR. A big bummer for privacy fans but a cheap VPN like Ivacy can’t have all the features. For these premium features, you should head over to a premium VPN provider like NordVPN. Ivacy was founded in 2006 under the business name PMG Pte. LTD. The company is quite big – estimations show they have around 100-250 employees. It’s a private company based in Singapore. 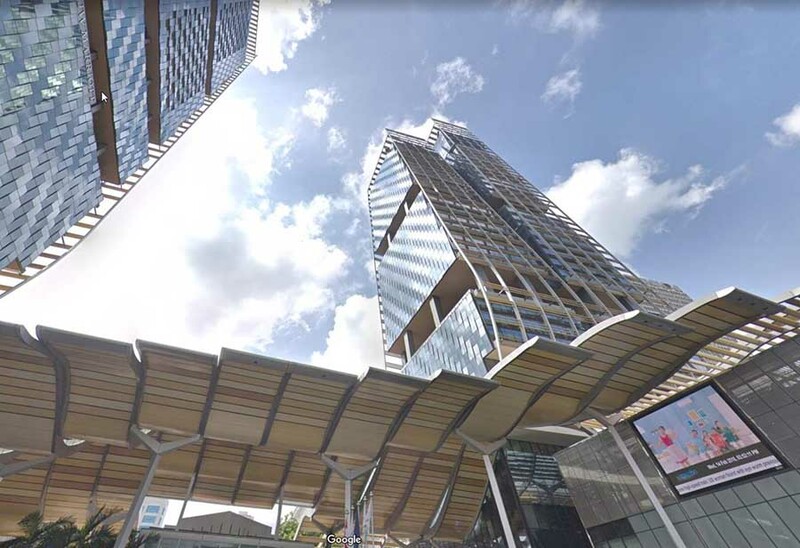 The business address is listed at 38 Beach Road #29-11 South Beach Tower Singapore 189767. Ivacy office is inside a building identical to the adjacent building that JW Marriott Hotel sits in. These buildings are quite new and near the marina, and could indicate how well Ivacy is doing as a business. Ivacy has also been featured on various tech websites for their excellent VPN service. 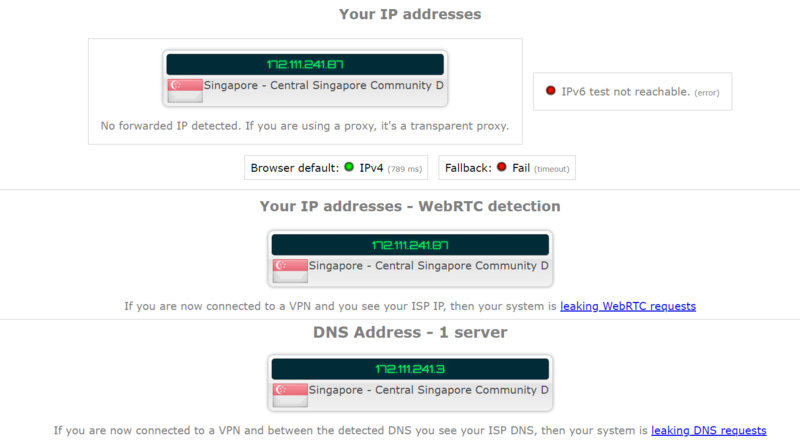 Ivacy VPN is based in Singapore. If you’ve never heard of the 5, 9, or 14-eyes alliances, they’re a conglomerate of nations that share intelligence with one another. Aside from intelligence sharing, they’ve also been known to look at the data and online activity of their residents. While it’s great that Singapore is not a member of those alliances, they’ve been known to be cooperative with the 5-eyes alliance. Ivacy has no reputation for sharing anything, though. In any case, Ivacy keeps no logs of your activity, so theoretically, there should be nothing to worry about. We checked for any feedback around Ivacy and mostly found spam (and Twitter bots run by affiliates). But here’s one real user with real feedback! @IvacyVPN I don’t know what backend updates you guys have done but they’re amazing. The speeds are blazing fast, the new website, android and Windows apps are great. 2 requests 1) Show server load on all apps. 2) Ability to create hotspot through Windows app. Keep it up 👍. It’s a simple decision, really. Not only is Ivacy one of the cheapest VPNs we have reviewed, but it is also one of the most feature-rich. The speeds are very decent, Netflix works, it’s torrent-friendly, and there are even obfuscated servers to bypass censorship. 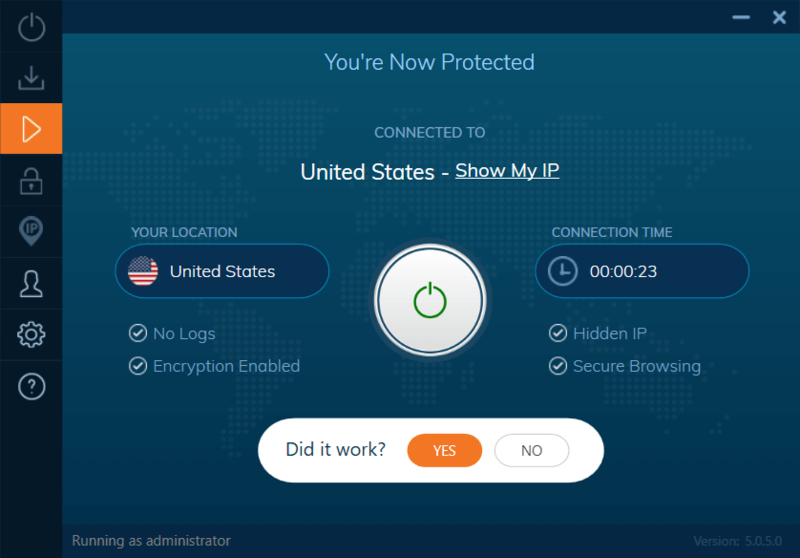 Ivacy VPN is a prime example of a great VPN that deserves a spot in our top 10 best VPNs list. 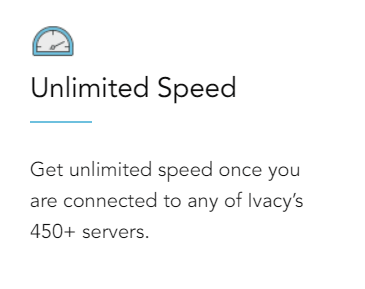 There’s nothing else to do but try out Ivacy VPN… unless you prefer extra premium services. 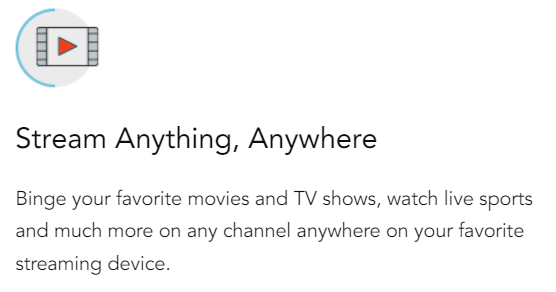 + Works with Netflix and other streaming services. + Wide range of payment options.